Wader Quest: Wirral Wader Festival success and the weather curse is broken. 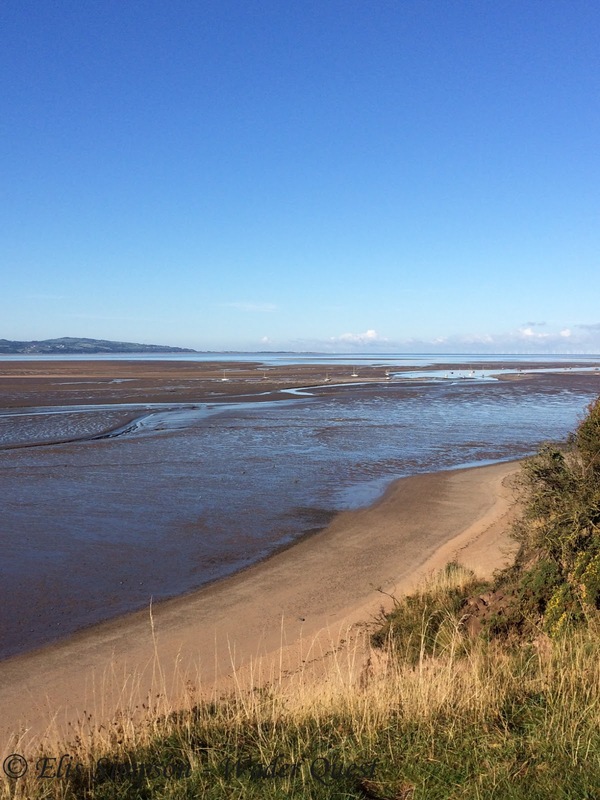 Wirral Wader Festival success and the weather curse is broken. The weather curse to which I refer is the apparent Wader Quest weather curse, it seems that every event we have organised or been part of organising has met with horrendous weather. We thought we'd hit the same on Saturday, but Sunday opened bright and sunny and remained so all day. Phew! The magnificent River Dee at low tide in the sunshine. Anyway, regardless of the weather it was a fantastic event which we enjoyed very much. We had the opportunity to give a talk which is always fun although half the audience were threatening to walk out half way through, not because the talk was bad (I hope) but because they had to be elsewhere for a walk to Hilbre Island so we had to fit the 45 minutes into 30 which may have affected its impact somewhat. 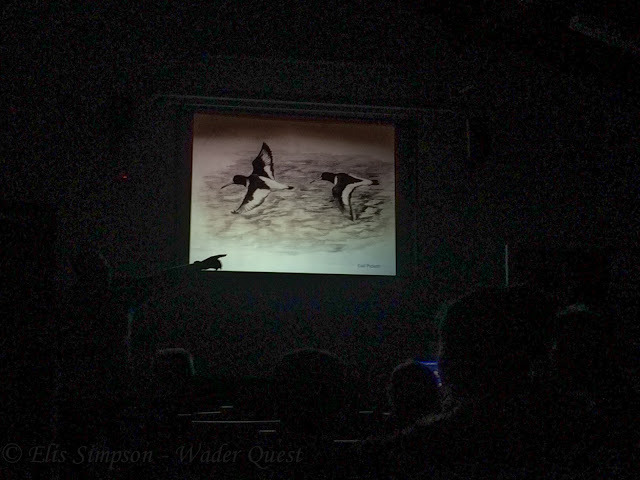 One of the talk slides showing Gail Pickett's drawing of Eurasian Oystercatchers illustrating how waders have inspired artists. The stand though looked magnificent and we were very pleased with the interest it received. 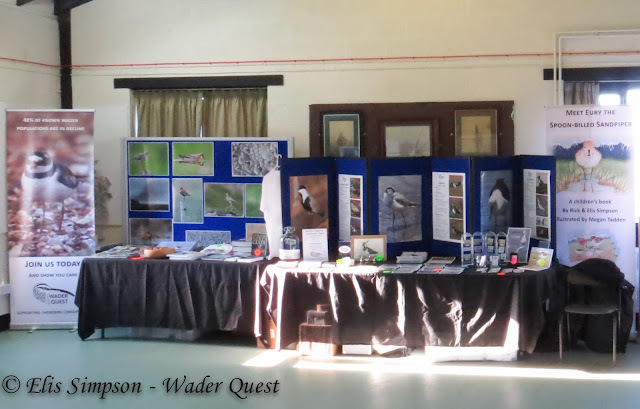 The Wader Quest stand at Wirral Wader Festival complete with sunshine! Many thanks to the organising group from Dee Estuary Voluntary Wardens, Cheshire Wildlife Trust, RSPB Burton Mere wetlands and Wirral Country Park Rangers that worked so hard yet again to get the festival off the ground for the second year. We can now all look forward to doing it all again next year.